I travel for work within India almost every month. With my base in Mumbai my travels often take me to the cities of Bengaluru and New Delhi. I have traveled to other cities in India too. Depending on who hosted me (or how generous was my employer) I stayed at a range of hotels from uninspiring service apartments to classy and elegant five-star properties. 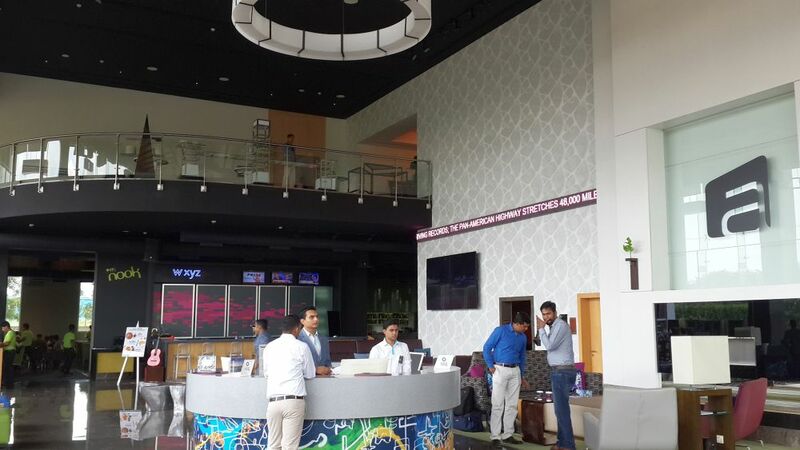 But Aloft Bengaluru at Cessna Business Park was strikingly different. 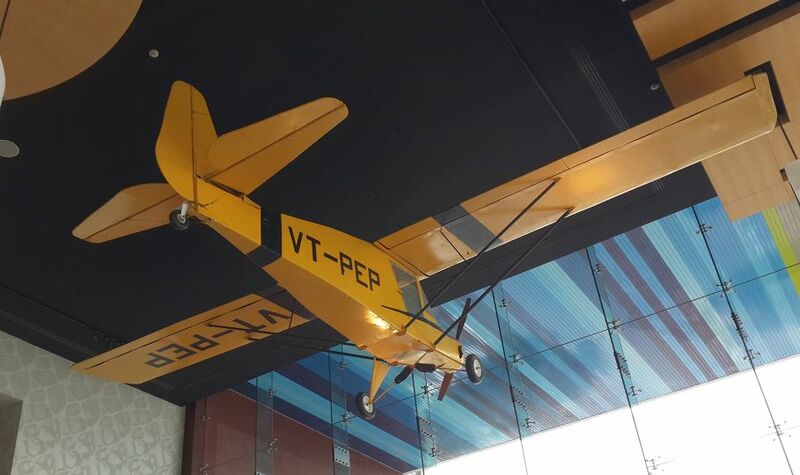 When I arrived at 9 pm at the Cessna Business Park on 20 July, and checked in to Aloft, I was pleasantly surprised by what I saw: Young, enthusiastic, smiling staff (even though it was the end of the day). It was indeed buzzing with activity. Classy guests. The reception area looked like a sports bar, with snooker tables, music, and drinks being served. A broad desk with all the newspapers and some magazines. And screens around the lobby. The hotel has clever lighting and well-done decor with arty props strategically placed around the lobby (a real vintage Piper aircraft hanging on the ceiling, for instance). I loved the good selection of retro music. And I couldn’t miss the bright energetic colors on the walls and furniture in the lobby, restaurant and room. Lime green, fiery orange, deep maroons, mustard yellows. For a change, I saw young, courteous, smiling, energetic, well-groomed and smartly dressed staff with uniforms in colors that complemented the interiors: lime green T-shirts, black trousers and light, air force blue jackets. 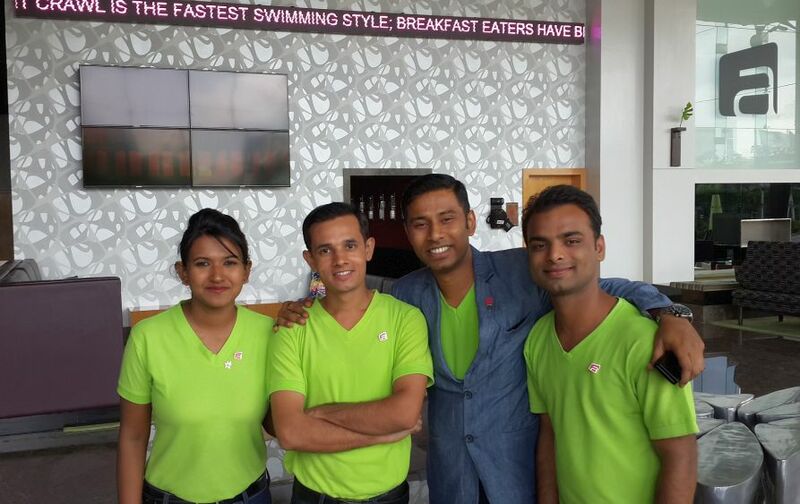 A refreshing change from the sari-clad female staff and male waiters in waist-coats, that you see at the other hotels. A quick check-in, welcome drink and I was soon in a speedy high-tech elevator with mood lighting and pop art — on my way to my room. Now how could I feel tired after a long journey? The room was spacious and its design was practical. It had everything I needed for a comfortable stay: iron, ironing board, toiletries, clean linen, plenty of soft pillows, bolsters, closet with hangers, and a well regulated AC. There was a well stocked mini bar too. 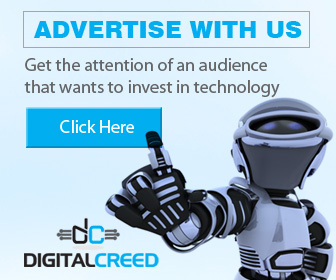 ENTERTAINMENT: A large flat screen TV with accessible ports (via a media extender). You can ask for HDMI and other cables at the reception, in case you need to hook up your gadgets to the TV in the room. This was something I first saw at The Venetian Hotel in Las Vegas, Nevada a few years ago. Glossy magazines in the room. There were plenty of complimentary water bottles in the room. Yet 5 minutes after I entered, my doorbell rings and a smiling young attendant walks in with six more bottles! I simply loved these messages! Radically different from the boring placards seen at other hotels. And the service was really prompt. When they say 20 minutes (for in-room dining) they really mean it. I ordered a Tomato soup with buns and croutons. Theirs was one of the best I have ever tasted. And believe me, I have ordered a lot of tomato soups at a lot of places! I have one small complaint (it’s more of a suggestion). The shower in the bathroom has a mixer tap that isn’t well designed. There is no way to regulate the quantity of water — so it leads to a lot of water wastage every time one uses the shower. There is no alternative (no bucket or lower tap). Perhaps Aloft can look into this in the interest of being more environment friendly. I know that on average a person will stand under a hot shower for 10 minutes. After a good night’s rest (and I barely sleep in other hotels) it was time for breakfast. The buffet spread was healthy with fruits, nuts, cereals as well as a good stock of breads and meats. The staff sensed that I was a bit lonely and spared no effort to make friendly conversation. I felt like I was on an airline! Mr. Suman Dutta, the Assistant Manager, Venues (in Blue jacket) told me a bit about the hotel and I learned that it is a new property. Another young lad (second from left in the photo) surprised me with a small piece of cake and a message piped on the plate: “Happy Journey”. I felt like a celebrity! After breakfast, the staff posed for a photo, and took mine too. Ten minutes later, someone handed me a printed picture of myself with the staff, in a frame! How touching! Mr. Akash Kumar, the Duty Manager willingly obliged when I requested for a print-out of my flight boarding pass (I did a Web check-in). 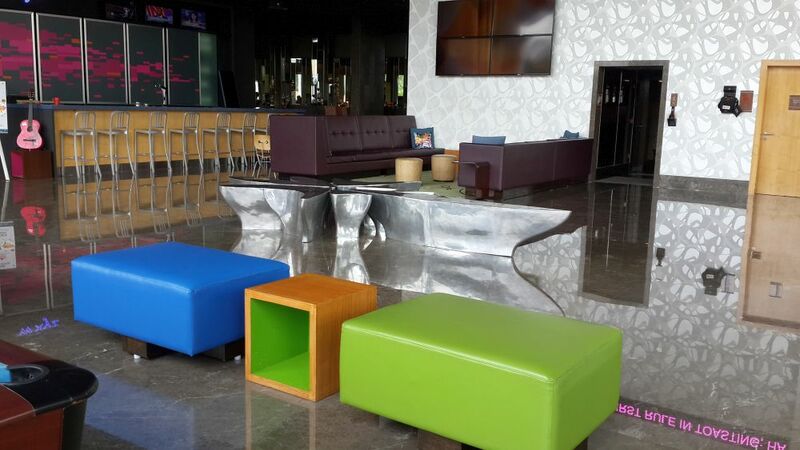 I really enjoyed my stay at Aloft Bengaluru Cessna Business Park and I strongly recommend it to the young, intelligent, business traveler. I was sad to check out and stayed for just a night. But I will be back for sure. Aloft is conveniently located in the heart of a techie zone (Sarjapur-Marathahalli Outer Ring Road). All the IT companies are located around it. You just need to be careful when crossing the highway on foot to get to those offices. 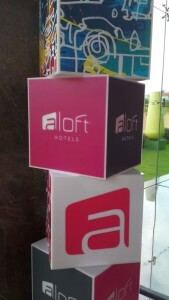 And Aloft is just one hour from the Bengaluru airport (1.5 hours due to insufferable Bengaluru traffic). As the young staff at Aloft are likely to say: Go experience it, man! Flying a real 737 simulator in Mumbai, Bangalore.